We are big Disney fans in our house, I don’t think there is a Disney film that I haven’t loved. 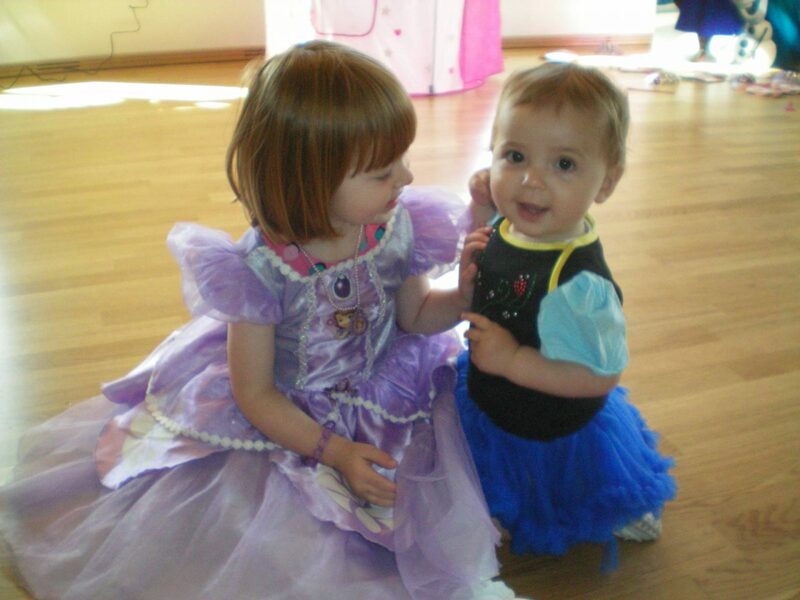 The girls are following in our footsteps and Alice’s first love was Sofia the First. It was the first fancy dress costume she owned and she would watch it all day if I let her (which I didn’t!). She was slower than her friends to fall in love with Frozen, but when it came that was the start of her love for all the Disney princesses. The girls had their first joint birthday party when Alice was three and Holly turned one and it was a Princess and Pirate party. When I first heard about Disney On Ice I knew that it would be something that Alice would love and Holly as she got older. The first time we went Alice was three years old and as Holly was only one, she was a bit young, so we went with my sister in law and niece. Alice was mesmerised from the minute it started and it had one of her favourites, Aerial from The Little Mermaid. At Christmas we were lucky enough to be asked along to see Disney on Ice Frozen, with Holly a bit older we took both the girls and they both absolutely loved it. Holly sat so well through it all, dancing and pointing at Anna and Elsa. It was a brilliant family day out. Disney On Ice is back this year with their new show celebrating 100 years of magic and it looks like its going to be even bigger and better if thats possible. They’ve recently launched a Disney On Ice music video, called the Mouse Bounce, which is part of their Fit To Dance pre show. Fit To Dance is a programme that Disney On Ice have set up to get kids creative and active through storytelling and dance. 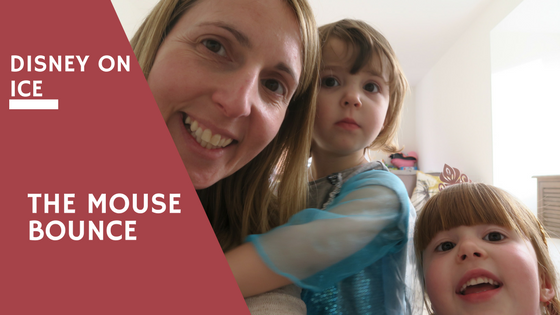 It was lots of fun and Alice has asked to do The Mouse Bounce every day since! If you fancy seeing the new Disney On Ice Celebrating 100 Years of Magic, it is touring all over the country and you can find out all the venues and dates here. There is going to be over 50 characters, the favourites Mickey, Minnie, Goofy, Donald Duck. Along with all the Disney princesses, Rapunzel, Cinderella, Ariel and Snow White. Plus relive the magic of Frozen, with Elsa and Anna. You will also be enchanted by Toy Story, Finding Nemo, The Lion King, Aladdin and lots more. It’s definitely one not to be missed! Disclosure: This is a collaborative post with Disney On Ice. Ah!!! I love it Laura!!! We took our oldest, I can not even remember if we took our middle daughter – guess it is time to take the twins! I would love to take my son to see this but we have a few additional accessibility needs to most and live too far to travel easily. I am a big Disney fan myself so always enjoy reading any Disney related blogs!